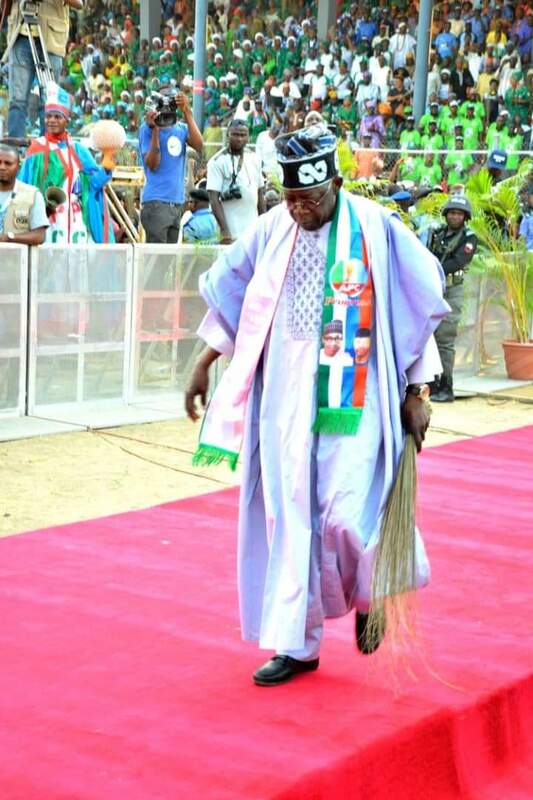 The National Leader of All Progressives Congress (APC), Senator Bola Tinubu, and other leaders of the party in Lagos State yesterday asked the State House of Assembly to drop its plan to remove Governor Akinwunmi Ambode from office. Tinubu and the APC leaders also urged the leadership of the executive and legislative arms to always respect one another and build consensus and understanding, which according to them, would help the institutions function effectively and efficiently. Tinubu and the party leaders brokered peace between the executive and legislative arms at a special meeting of Governor’s Advisory Council (GAC) held at the State House, Marina yesterday, declaring that there was no longer removal questions against Ambode. Among others, the meeting was attended by the Deputy Governor, Mrs. Oluranti Adebule; Speaker Mudashiru Obasa; Deputy Speaker Wasiu Eshinlokun; Majority Leader Sinai Agunbiade; Chief Whip Rotimi Abiru. 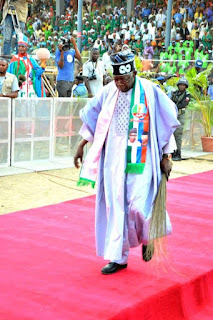 After the meeting, Tinubu said: “The conflict between the governor and lawmakers has been amicably settled. The executive and legislative arms of government have resolved to work together in the interest of the state. “We held a meeting on behalf of Lagos, the entire Lagos residents and APC leadership. In the last one week, there has been noise about the conflict between the executive and the state assembly. It is of great concern to all of us and particularly what Lagos represents across the country. “We have been able to look into the source of various conflicts, which is not uncommon in politics. What is the genesis of those problems? We are one big family and as a big family, you will have some rumples, you will have some disagreement. “As leaders of the party, we have looked into the disagreement between the executive and legislative arms. We have looked into areas where we have to compromise, discuss and build the institutions, encourage the institutions to really do what is right. “We have resolved that there is no question of (removal) in Lagos State. Let the two arms of government communicate and continue to respect one another and build consensus and understanding. That is all about politics. He thanked the governor, his deputy and the assembly leadership for agreeing to the peaceful resolution of the conflict, saying it was evident that consequences of allowing such conflict to fester would have been dire not just for the state, but the entire country. He added: “We thank the speaker and the entire members of the House of Assembly leadership. We thank the governor and the deputy governor who had demonstrated firm respect for the party leadership in Lagos State. Also speaking after the peace meeting, Lagos Central APC Leader, Prince Tajudeen Olusi, corroborated Tinubu’s position, and expressed optimism that the House would soon meet to resolve other grey areas. “The national leader has spoken and mine is just to confirm the decision. Conflict resolution is an essential ingredient of management. We have looked into the problem and the party has directed the two arms of government – the executive and the legislature to work together and very soon, the House will meet and resolve all grey areas,” Olusi said.